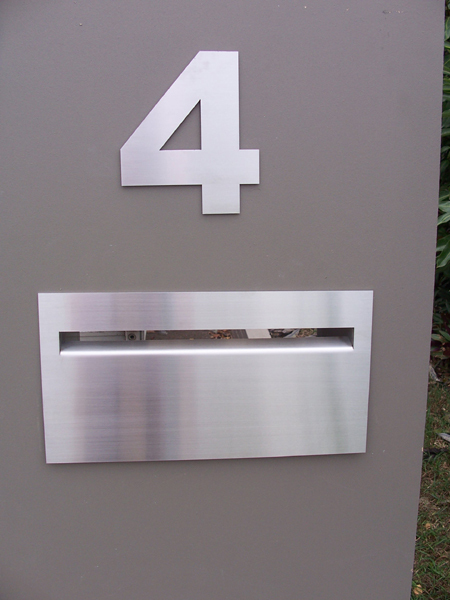 Mailbox Face-Plate - $289.00 : Letter Box King, Best value letter boxes and lettering! 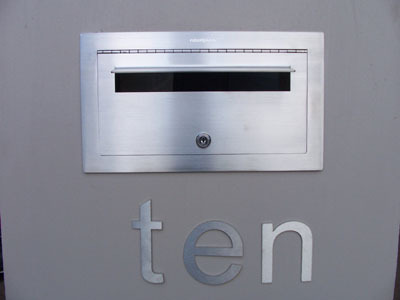 Mailbox Face-Plate 700mm x 300mm made from 2mm 316 brushed stainless steel. 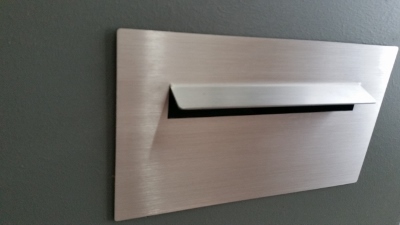 Mail-slot opening 240mm wide with external weather guard, can be made wider if requested. You can choose an external or an internal weather guard. 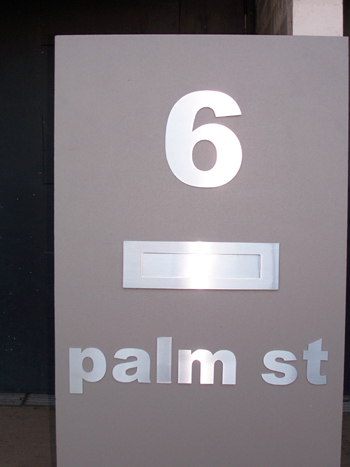 The text is laser-cut, removed, we supply a black colorbond sheet which can be installed behind the text. 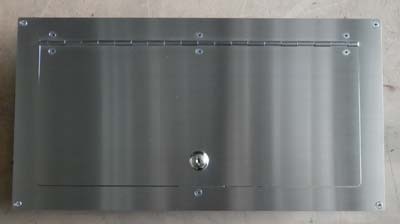 We can manufacture this plate with or without fixing holes. Your required text can be nominated in the comments box or you can send us an email. 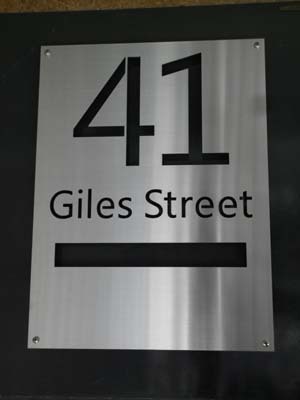 We can also manufacture you a stainless steel sleeve, please email the depth and post code, we will email you quote. This product was added to our catalog on Sunday 21 June, 2015.